This document will help your organization determine if it is meeting regulatory and compliance standards. 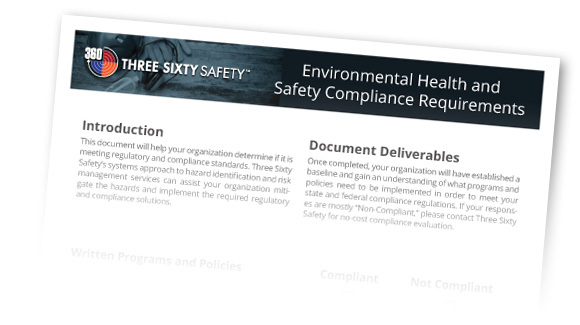 Three Sixty Safety’s systems approach to hazard identification and risk management services can assist your organization mitigate the hazards and implement the required regulatory and compliance solutions. Please fill out the form below to download our Compliance Checklist.